Sterling Children's Books, 9781454927419, 32pp. The delightful story of a finicky polar bear who learns that having friends and fun is more important than things being "just so." Willow is a polar bear who likes things just so. She even irons her underwear and tidies her teacher So when a storm covers her backyard in a smooth blanket of snow, she's determined to keep it that way--in spite of all the other kids creating a lumpy, bumpy mess. Will Willow realize that being particular is making her miss out on all the fun? 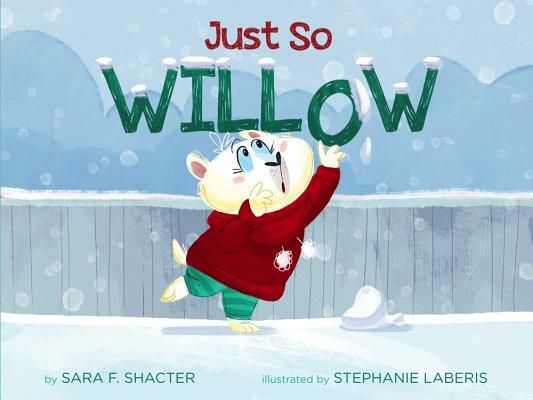 Sara F. Shacter's work has appeared in publications such as Highlights for Children and World Book's Childcraft Annuals. A former teacher and active member of the Society of Children's Book Writers and Illustrators, Sara lives in Chicago with her family. Visit her online at sarafshacter.com. Stephanie Laberis is the illustrator of the Grumpy Cat series of Golden Books, Prudence, the Part-Time Cow (Holt), and more. She lives with her family in San Francisco.